As we round up 2017, there have been a total of 300 decisions released. The graph above reflects an empirically collected analysis of for/against outcomes of all decisions released by the LAT. 60% of the decisions were in favour of insurer, while 37% of the decisions were in favour of the applicant. The remaining 3% were those that did not render a decision; this includes decisions where there were no issues in dispute or settlements before hearing. Motions for costs have overwhelmingly been dismissed by the LAT, confirming a very high threshold for cost awards. For the above graph, motions for costs have been removed so that the results are not skewed. It must be noted however, that the graph reflects the trend of all other decisions rendered by the LAT. Analysis of specific issues in dispute may, in fact, tell a far different story and may be worthy of further investigation. What is the data telling us? While the graph suggests there are many more cases in favour of the insurer, the underlying trend reveals something different. 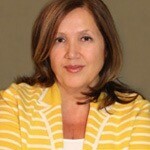 The success rates of the applicant and insurer are trending toward convergence. 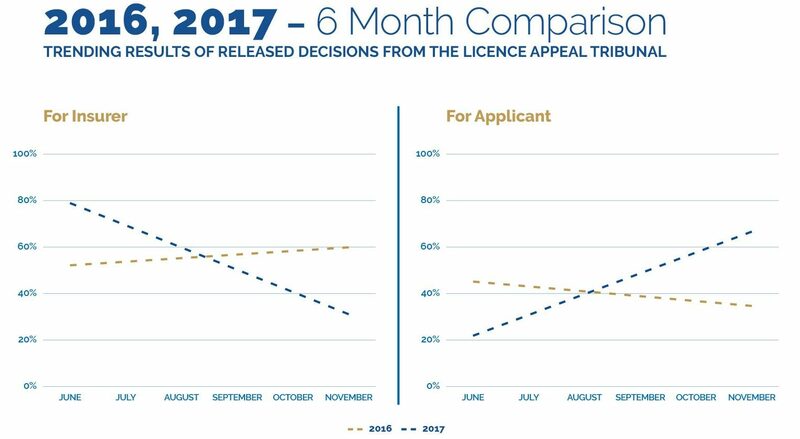 The first quarter results shows a large disparity between the success rates of the insurer and applicants; 66% of the decisions in favour of the insurer and 34% for the applicant. 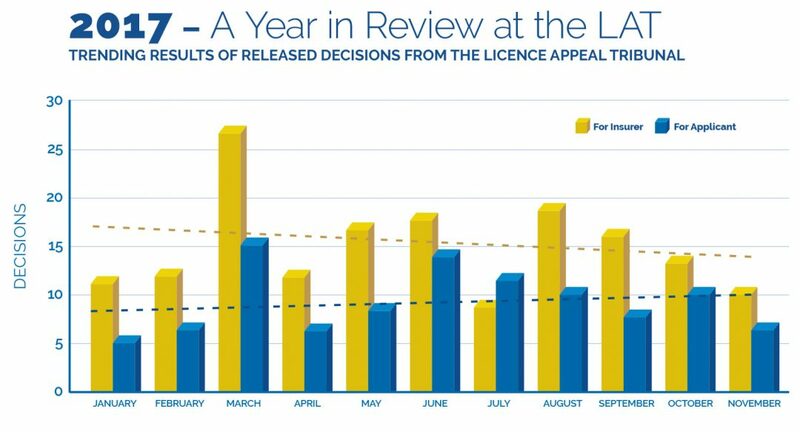 Although this quarter is not quite over, the fourth quarter for 2017 will likely find 60% of the cases in favour for the insurer, and 37% in favour of the Applicant – this would appear to represent a significant deviation from the beginning of the year. What is behind this apparent convergence? Are the applicants applying now better prepared, as they have clearer understanding of their evidentiary burdens? Are we seeing the effects of precedence now having been established by the LAT? Or is this but a temporary aberration? The above six-month comparison confirms this to be a relatively recent shift. Although the success rates are driving towards convergence, the slope is becoming somewhat steadier. If this trend holds, a 60-40 split between the insurer and applicant may well stabilize. How will stakeholders respond, and what means can they utilize to continue to refine their approach to the evolving dispute resolution process? Understanding what drives LAT decision making and outcomes is essential to shaping the future of the process of accident benefit disputes and resolution – contact us to compare your results to those in the industry. The results are available as granular as the issues in dispute.